Matt Winkelmeyer/Getty ImagesUber CEO Dara Khosrowshahi speaks onstage at Day 1 of the Vanity Fair New Establishment Summit 2018 at The Wallis Annenberg Center for the Performing Arts on October 9, 2018 in Beverly Hills, California. Uber is reportedly developing a new service that would provide short-term jobs in professions like security and hospitality. It would be a major expansion for the California tech company, and comes as the company gears up for an IPO. But it is also likely to draw criticism from labour activists, who have previously attacked Uber over how it treats its workers. Uber has transformed the global taxi industry – and now it’s eyeing up other professions. 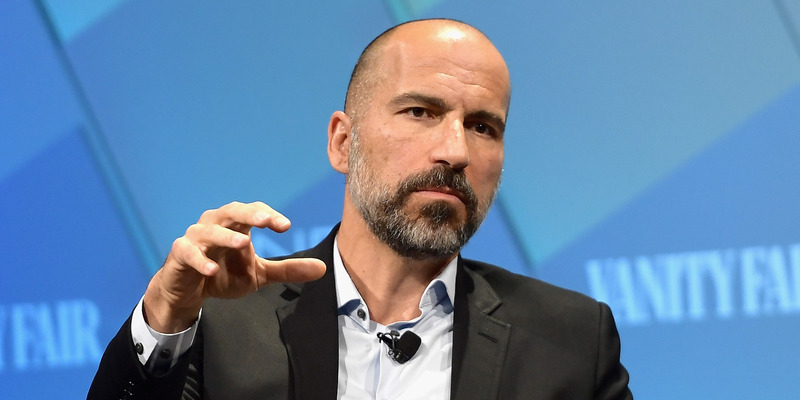 The effort, referred to as Uber Works, would be a significant expansion of the services Uber offers, and comes as the company gears up to go public in a long-awaited IPO in 2019. The news is also likely to provoke fresh criticism of Uber from labour activists. The company has been long attacked by critics over what they argue is an exploitative work model for its drivers without the benefits of traditional employment, and Uber moving into new industries will spark fresh fears about the company’s impact on workers’ rights. For its part, Uber has argued its model – where self-employed people decide when they want to work via an app – provides workers with greater flexibility, and that workers have spoken favourably of the set-up in surveys. According to The FT’s report, Uber has tested Uber Works in Los Angeles and is currently being developed in Chicago. It’s not clear exactly what kinds of roles are being considered as suitable for the model beyond the two cited in the report – waiters and security guards. An Uber spokesperson declined to comment to Business Insider.